A monster thriller and broad comedy lead the entries at local multiplexes, while the art houses offer stop-motion from Wes Anderson and the pairing of Donald Sutherland and Helen Mirren. 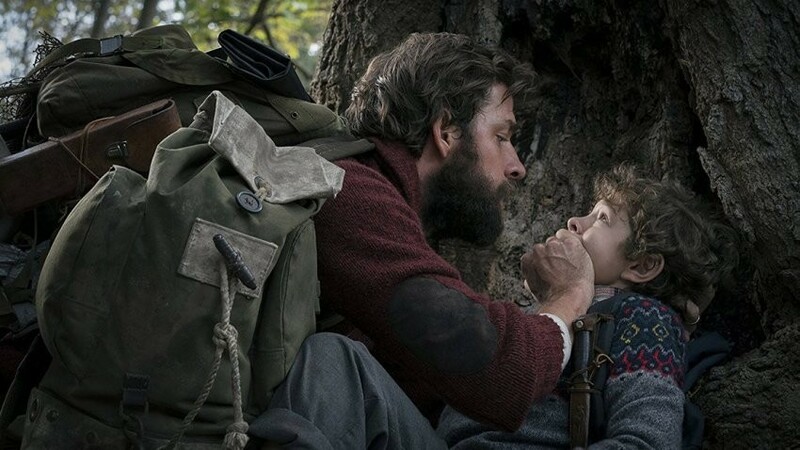 Director/co-writer/star John Krasinski has a crackling suspense thriller in A Quiet Place (pictured), right up until it faces The Monster Problem. The LDS-themed Trek: The Movie piles on dozens of subplots before the prayerful climax. MaryAnn Johanson enjoys the delightful originality of Isle of Dogs, while asking whether cultural homage crosses over into exoticism. David Riedel offers a hearty "eff this movie" to The Leisure Seeker's attempt to find inspirational carpe-diem whimsy in abusive behavior. In this week's feature review, Blockers presents another raunchy comedy that feels obliged to cut its acidity with a heaping dose of sweetness. Also opening this week, but not reviewed: the story behind the tragedy and political scandal of Chappaquiddick; and the inspirational fact-based story of a volleyball team in The Miracle Season.